The document that I am referring to is a list of those that between November 1826 and July 1840 were dismissed/died, or were excommunicated (http://files.usgwarchives.net/ga/oglethorpe/churches/cloudscr.txt). Information received by Carolyn Molder (Whitehead decedent). There is a story within each of these records, and unfortunately, most of them will be lost forever. This is one of the reasons why I do what I do. I want to preserve my family’s history so others can enjoy it. The picture of clouds creek was retrieved from their website today. This entry was posted in Whitehead and tagged Church Record Sunday. Bookmark the permalink. I am a pastor in the Athens area and I found your website when I did a quick search for Clouds Creek, hoping to find the pastor’s email. The Church may have more detailed records in their archives – particularly the minutes of their meetings – as to why each person was excommunicated. If you haven’t already done so, you might want to contact the Church and see if they would allow you to go through their records. Despite not having his email, I am friends with the pastor and I have his phone number. You can contact me via the email I leave with the comment if you would like for me to get you in touch with him. On the subject of excommunication, you might find Greg Wills’ book, “Democratic Religion: Freedom, Authority, and Church Discipline in the Baptist South, 1785-1900” interesting. 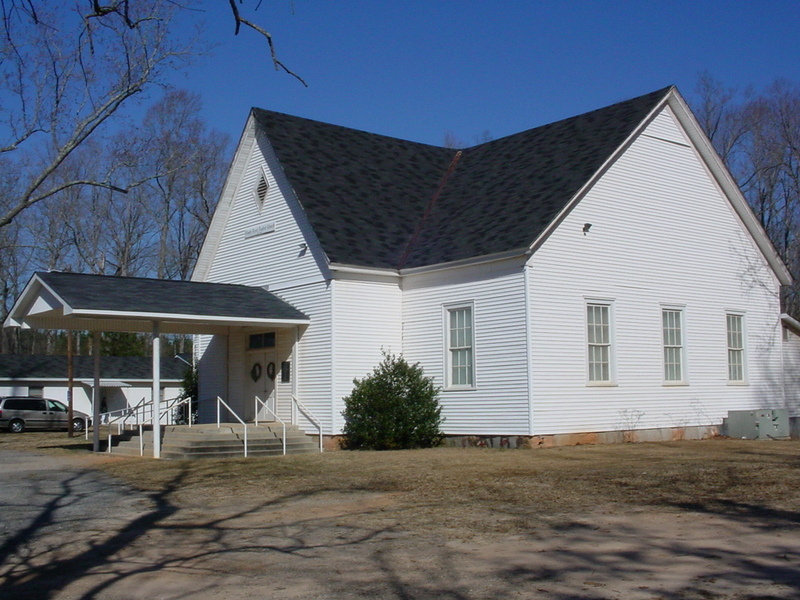 He particularly notes the practices of Sarepta Baptist Association (the local Baptist Association to which Clouds Creek belongs) Churches in regard to Church Discipline matters. During the time when your family would have attended, excommunication was a regular practice that could take place for anything ranging from non-attendance to drunkenness to criminal activity. While it might seem very dramatic in today’s Church atmosphere, excommunication was a pretty standard and uneventful part of life in the Church in the 18th and 19th centuries. As for dismissal, it is likely a catch-all term describing simply a removal from the Church roll due to death, transfer, or moving away. It is actually a fairly recent practice of the Baptist Churches in America to not purge their rolls regularly. OK, hope this helps. Let me know if I can be of any further assistance to you. For some reason, your email address is not showing up on my end. Please contact me at krista.whitehead@gmail.com, so we can discuss further.